Being cheated is something nobody would want to experience. However, we start having doubts the moment we feel a shift in our partner's behavior. These doubts are mostly never satisfied, and we keep looking for more evidence, hoping that our doubts are proved baseless. These doubts encourage the feeling that your spouse/partner maybe cheating on you. 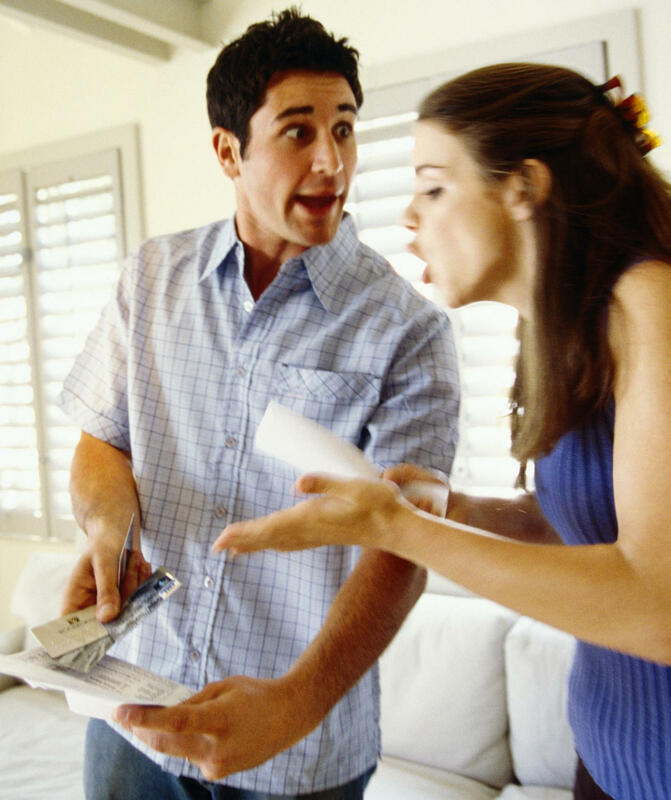 A disloyal spouse can shatter a marriage or a relationship within no time. Communication gap and sudden changes in the behavior of your spouse, will always give rise to doubts of infidelity. Whether an affair is emotional, physical or both, in relationships, they are labeled as cheating. The most obvious sign of cheating is lying. When your spouse lies to you for unnecessary reasons, there is a thick chance that he/she is cheating on you. These lies can be anything, like working extra hours, frequent parties you are not invited to, midnight official calls, coffee or dinner with their long lost friends, etc. 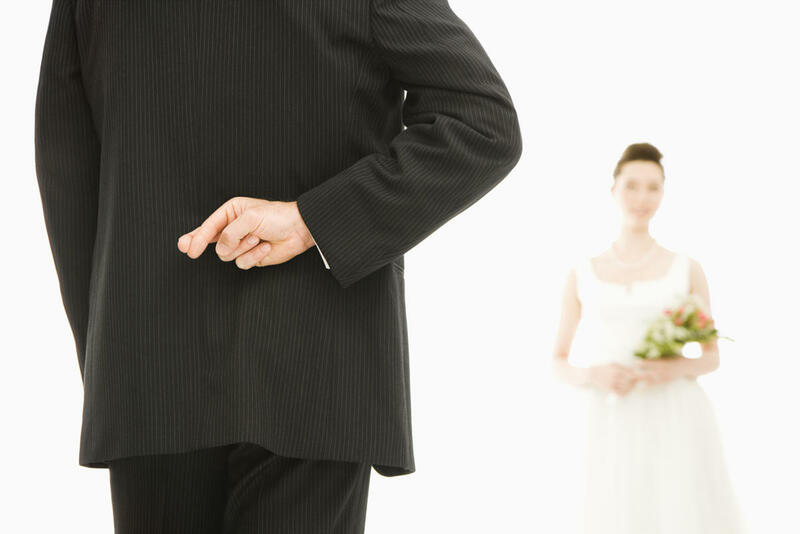 Here are a few ways to detect a lie; first of all, note the body language of your spouse. A liar will always avoid eye contact with the person they are lying to. They try to fidget with things, like maybe itching their ears, touching their throat, face, mouth, nose or give you extra unnecessary justifications. If they are lying to you, they definitely have something to hide from you. Your spouse may start keeping things from you. They would not tell you quite a few things that you should know. They will not be comfortable discussing things with you anymore. They may move away from you when they get a call. They may delete their phone history, and even change their passwords. If you share an account, you might not find them accessing it anymore. If they are elusive about their whereabouts, then there can be a chance that you are being cheated on. A sudden change in the physical appearance can also be a sign of an affair. They may suddenly start shopping for new clothes, change their dressing sense, have a different hairstyle, wear a different perfume, etc.. These can be indications of an extramarital affair. They may focus on fitness by hitting the gym or going for a run or jog, which they did not care for in the past. They may try to look younger by using makeup or creams. 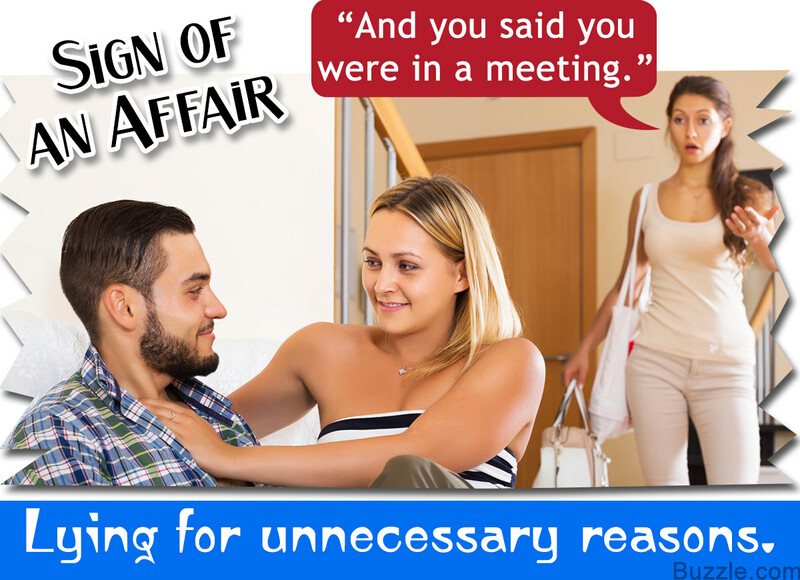 If the attitude of your spouse suddenly changes, without any reason, it can be because of an affair. If they suddenly become extremely nice to you, which is not their normal self, the reason can be the guilt of an affair. On the other hand, they can also get very arrogant and intolerant. They may suddenly build a weird attitude, and pretend its their new way of perceiving their self-esteem. If you notice that your spouse has suddenly realized that you aren't giving them enough space, they probably want to move away from you. Chances are, they have found someone else that they want to spend time with. They may demand space by giving you justifications like, it's their life, they like being alone now or they need a break from things. In such cases, they are only trying to pull off from you. The idea of having their own space, somehow helps them in coping with their guilt of cheating. While having an affair, people usually try balancing their legs on both the boats. Showering extra love over you, is a contradictory behavior of coping with their guilt. They will start faking their gestures of love because of their developing guilt. A sudden surprise of expensive gifts, candle light dinners, too much of attention, and affection can be signs of a cheat. Apart from a guilty conscience, this can also be a cover up, so you don't doubt them. Being mostly out of reach or not answering your calls, can be another sign. If your partner starts avoiding conversations with you, spending time with you or starts avoiding you on the whole, they may have found your replacement. Chances are, someone else is taking your place and they enjoy spending time and sharing conversations with this other person now. If you smell the perfume of another man/woman over your spouse/partners clothes, it may be the fragrance of this other person they are having an affair with. Also, unusual body marks, lipstick stains or belongings of someone else in the car or in her handbag, are enough evidence of their infidelity. Picking faults in a marriage or relationship happens sometimes. But, finding your partner raking petty issues, and criticizing you all the time for no apparent reason, is not a very normal happening. They would refuse to see the good in you anymore. Every little thing you do, will start irritating them. This will result in increased fights. In such cases, having doubts about a parallel romantic relationship, is justified. Both, an increase or decrease in the interest level when it comes to love-making, indicates the possibility of infidelity. They may turn you down like they have never done before, if this other person is satisfying their sexual needs. On the contrary, an affair can increase their sexual appetite, too. Therefore, both the cases give rise to doubts of infidelity. Change in their style of kissing or performing differently in bed, can also be a sign of an affair. Check on their bills, as they may be spending more than they should on this other person. Holiday, dinners, shopping bills that do not include your expenses, can actually be the expenses of the other person. Moreover, giving random or vague explanations, or overreacting and getting furious when asked about these expenses, can be a cause of worry. Ever heard the saying, "Once a cheater, always a cheater."? If your partner has an awful past, and has been cheating on everyone they have been with, you may not be an exception. Maybe they have commitment problems, or lying and cheating is just their nature. Also, it might be a possibility, that an unsuccessful relationship of the past, has come back into his life. The return of a lost love can be the cause of his/her infidel behavior. When someone knows they are wrong, and they are questioned about it, they tend to get defensive. They may either play the victim by blaming themselves for obvious things they haven't done, or overreact to the questions you ask them. They may answer your questions by asking other questions, or try to give you the feeling that you have created a big blunder by thinking that way about them. They try to show that you are the one at fault, and send you on a guilt trip. If he constantly talks about this woman at work or at the gym, addressing her as just a friend, there may be something more to it. When you go for parties or any social gatherings, observe your man's behavior with other women. If you find him flirty or too clingy with them, throwing his behavior away as a joke, there is a thick chance that he is cheating on you. Most women are known for their traits of jealousy and insecurity. 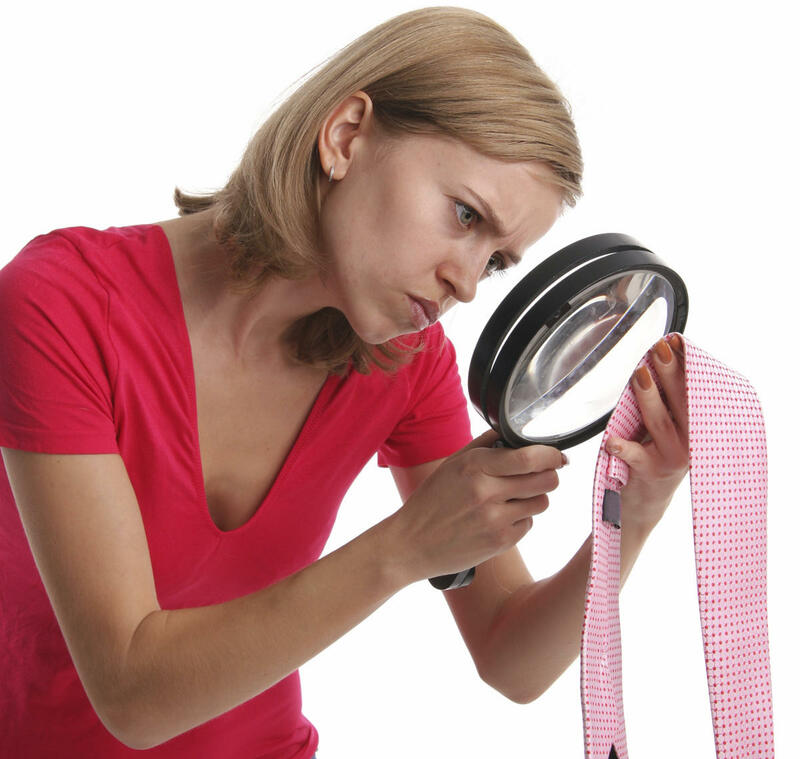 If your spouse/fiance/girlfriend, has the same traits, check on her behavior. If she is cheating, she may not be jealous or insecure about you anymore. On the contrary, there are chances that she might start doubting you with other women, too. This is because she thinks if she can cheat, so can you. She will bother more about her looks and act as if she is sixteen again. She will also try to act like she is too good for you, and that she deserves someone better. She may nag you about everything possible, and focus on your negatives. Through her this behavior, she is only trying to justify why she is not wrong if she is cheating. If she is cheating, her priorities will change. Her attention will get divided between your kids or your house and the new man in her life. Her frequency of 'time with the girls', will increase considerably. Before you draw any conclusion, it is better to talk things out with your partner first. There are thick chances of you being a victim of a huge misunderstanding. Sit down and talk things out first. Put things across in a mild way, in order to sound concerned, and not doubtful. Also, keep this conversation between the two of you, and avoid involving your friends, folks or kids in it. This would probably be the most difficult thing to do. If you have found out that your partner has been cheating on you and you have enough evidence of it, confront your partner. You will have to be strong and calm yourself before confronting your partner. Show them the evidence, and try sorting things out with them. Ask them to reason out their actions. Forgiving them for what they did, or not, is entirely your decision. If you don't wish to continue your relationship with them, walk out. Stand up for whatever is right, and make a firm decision about your future. If you choose to give them a second chance, make sure they make extra efforts to earn back your trust. Cheating is something which can never be justified, however, make sure you are not making a mistake by doubting your partner. One of the foremost pillars of a relationship is trust. Therefore, either ways, whether trust is lost due to a cheating partner, or due to the fact that you doubted wrongly, the relationship can never be the same again. Be honest, be truthful and be answerable. After all, your partner deserves it.